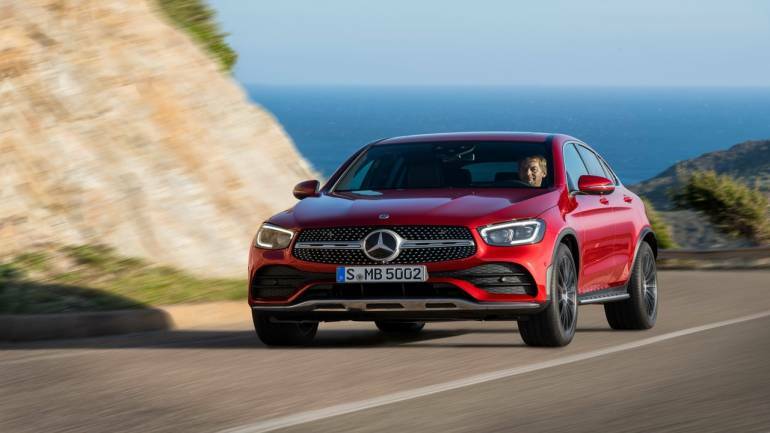 Mere weeks after unveiling their GLC SUV facelift, Mercedes-Benz has officially announced the 2019 GLC Coupe. Along with many aesthetic changes, the GLC Coupe gets a complete overhaul in its mechanical and electronic components. 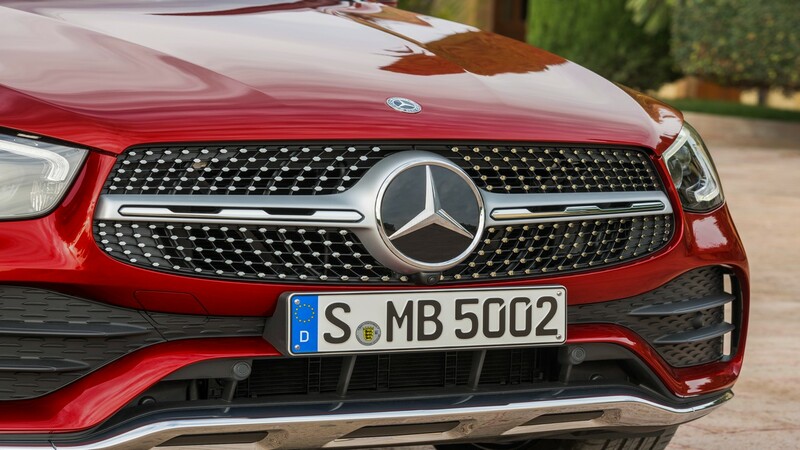 Mercedes has given the 2019 GLC Coupe a dominant front end, with chrome details on the front and rear underride guards. Its squatted silhouette, dropping roofline and rounded rear windows further highlight its Coupe lineage. It comes with active air intakes and LED headlights as standard. Inside the cabin, now finished in a new magma grey colour scheme, is a large, one-piece console panel that starts at the centre air vents and ends at the armrest. The car also gets a wholly revised multifunction steering wheel, with Touch Control buttons for operating the instrument cluster, infotainment system and the acoustic input feedback. The centre console also features a multifunctional touchpad in place of the rotary pushbutton and a larger 12.3-inch touchscreen display.